'Live baiting' has been widespread and well known within greyhound racing circles. But it took investigations by two animal charities — funded entirely by the public — to expose the truth. And the repercussions have been game-changing. It's been an 'open secret' for decades. But without hard evidence, authorities were powerless to stop greyhound trainers from routinely tying animals to lures to be chased and mauled as 'live bait'. Animals Australia and Animal Liberation Qld were determined to rectify this situation, and so began some of the most challenging cruelty investigations ever seen in Australia. Since then, raids have been conducted, inquiries launched and trainers suspended. Our evidence was used by the RSPCA in each state to obtain search warrants and conduct raids on properties. Evidence gathered in training facilities in Queensland, Victoria and New South Wales has already implicated some 70 individuals — including leading trainers — in live baiting. Prosecutions are still pending for many trainers, and in Queensland a Racing Integrity Comission was established which went on to expose "serious cruelty" in thoroughbred horse racing as well as harness racing. Since the live baiting scandal, further animal welfare atrocities, systemic in the industry, have been exposed with at least three mass greyhound graves uncovered in Queensland and New South Wales. To date, more than twenty people have been charged with animal cruelty, with a further twenty-one banned for life (meaning they can never own or race a greyhound again), and many others have been suspended pending investigations. In December 2015, the first greyhound trainers were sentenced to prison for live baiting — the jail time handed down by the NSW magistrate for crimes of serious animal cruelty was unprecedented. Those charged include some of the country's most celebrated greyhound trainers — including a dual Australian trainer of the year. More than 60 trainers across three states have been suspended so far, pending further investigations. Among them is one of Australia's most successful trainers, a former steward, a former industry integrity manager and one of the most prolific pre-trainers of greyhounds in the country. The industry is under unprecedented scrutiny at a government level with inquiries launched in Victoria, New South Wales, Queensland and Tasmania. 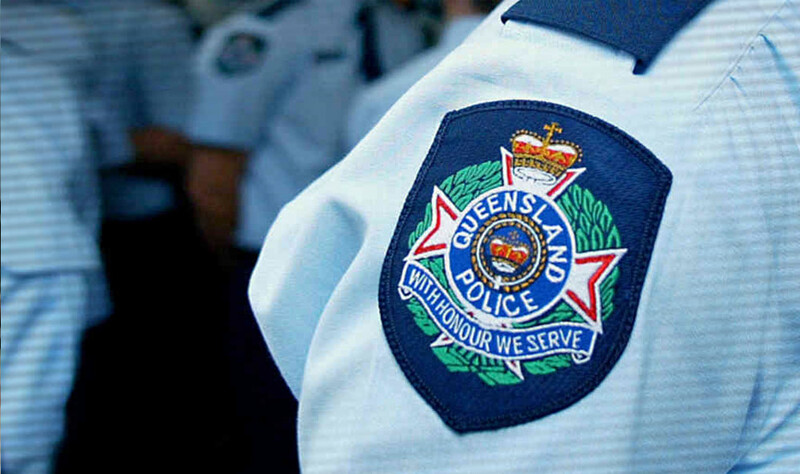 In Queensland, a police taskforce uncovered further damning evidence of cruelty, with the government inquiry leading to the sacking of all racing administrators. The state government also halted construction of a proposed new greyhound racing track in Logan, following the 4 Corners expose. Victoria is establishing an independent integrity body for all racing codes and abolishing breeding incentive schemes. In NSW, a special commission inquiry was launched with powers similar to a royal commission — meaning witnesses could be compelled to give testimony, search warrants could be executed and the darkest corners of the industry could be scrutinised. It heard damning industry admissions of widespread cruelty that ultimately helped see NSW and the ACT commit to banning greyhound racing. Sadly, immense political pressure and a relentless media campaign successfuly resulted in the historic greyhound racing ban in NSW being overturned. 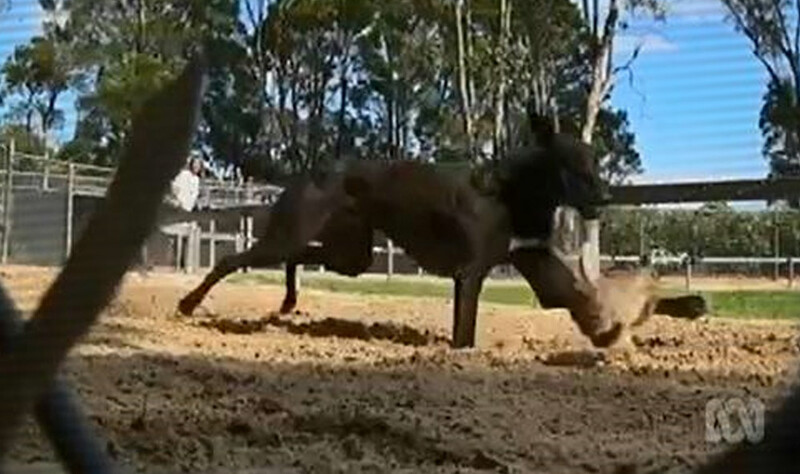 In 2017, however, the ACT Attorney General Gordon Ramsay confirmed that greyhound racing will be outlawed in the Territory in 2018, stating "We cannot turn a blind eye to the sort of behaviour and animal cruelty uncovered in New South Wales … the prospect of those behaviours coming into the ACT, and the risk of regulatory failure in New South Wales, presents an unacceptable risk." The WA and SA governments have both increased their maximum penalties and jail time for live baiting offences, with Greyhound Racing SA also announcing random inspections and aerial drone surveillance of training premises. The message has been sent loud and clear that self-regulation has failed. The entire Greyhound Racing NSW board was sacked, as were racing administrators in QLD — including Greyhound Racing QLD's CEO. The entire board of Greyhound Racing Victoria has also resigned, with its Chairman saying 'I can no longer be satisfied that live baiting was restricted to the small band of immoral criminals'. After Four Corners aired the results of our investigations, sponsors were inundated by public calls to distance themselves from greyhound racing. And they did. 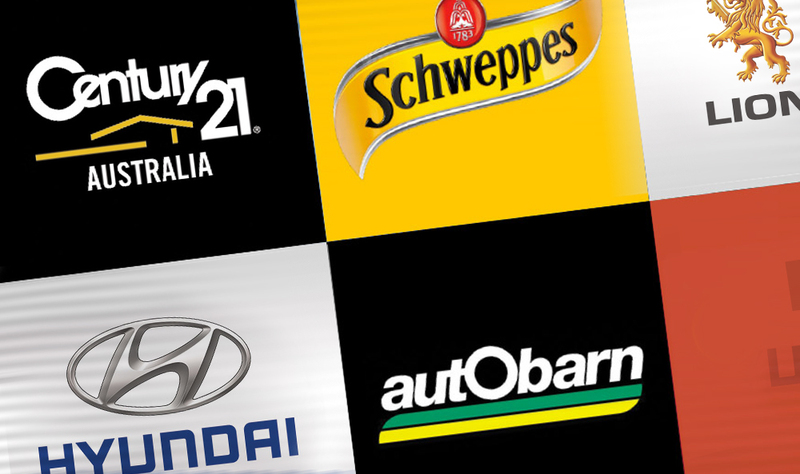 Companies such as Schweppes, Lion Nathan, Hyundai and Autobarn all withdrew support or asked franchisees to withdraw support. 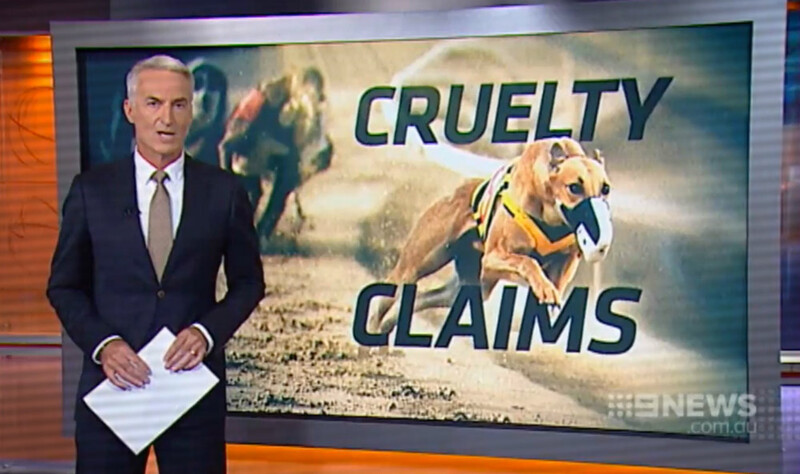 Questionable greyhound racing practices are attracting unprecedented media coverage not only in Australia but internationally. Hundreds of articles have followed the Four Corners exposé. 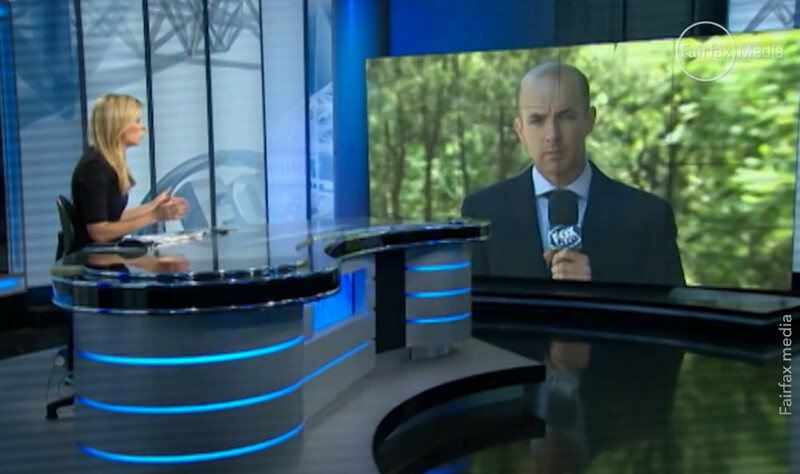 Leading commentators from news to sport to current affairs are questioning how these atrocities were covered up for so long and are calling for an end to greyhound racing. Practices that should have long been deemed unacceptable are finally being addressed by industry bodies. With 'live baiting' already illegal, three states have now taken these bans a step further — to outlaw the use of dead animals on mechanical lures during training. Victoria will establish an independent integrity body for all racing codes, and dog breeding schemes in NSW and Victoria were ended. This immediately addresses another serious concern — how those animals (mainly rabbits) were being captured, confined and killed in the first place. 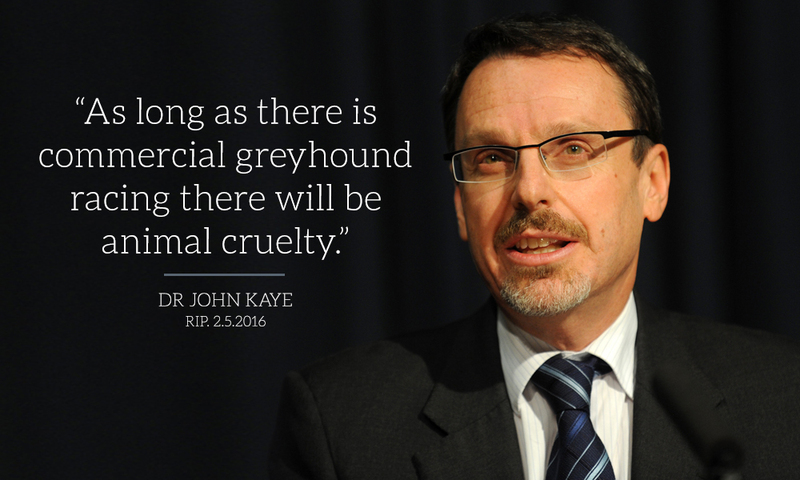 Believing that the widespread and systemic cruelty of greyhound racing was beyond reformative repair, the late NSW MP Dr John Kaye went a historic step further and introduced an Australian-first Bill to ban greyhound racing in NSW. Sadly, Dr Kaye passed away only weeks before the Inquiry report was released. He will be remembered as being a tireless advocate for animals who gave them a stronger voice in the NSW parliament. 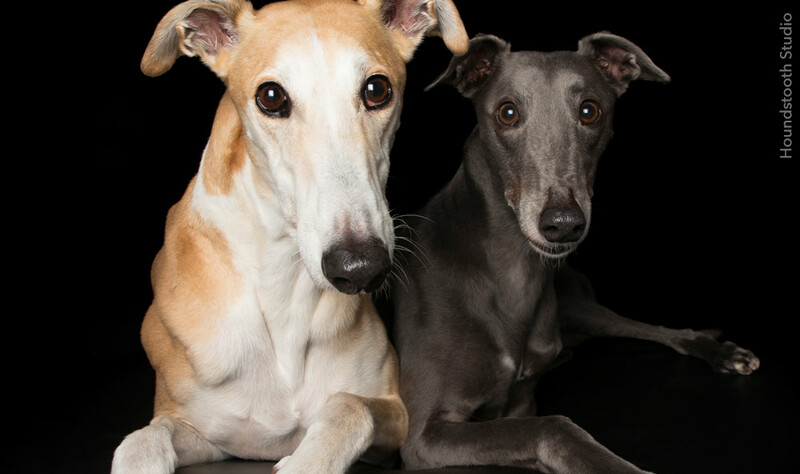 Since footage from our joint investigation into Australia's greyhound racing industry was aired on Four Corners, rescue groups have reported an increase in greyhound adoptions into loving homes. Many more still need help, so if you can offer your couch and heart to one of these gentle giants, consider adopting or fostering a rescued greyhound (if you need more convincing, this might help). Our work to help greyhounds didn't stop with the live baiting investigation — we knew this industry had more to hide. So our investigators kept digging — and ended up in Asia, where dogs considered 'too slow' are exported to a 'life' of solitary confinement in Macau's notorious Canidrome racetrack. 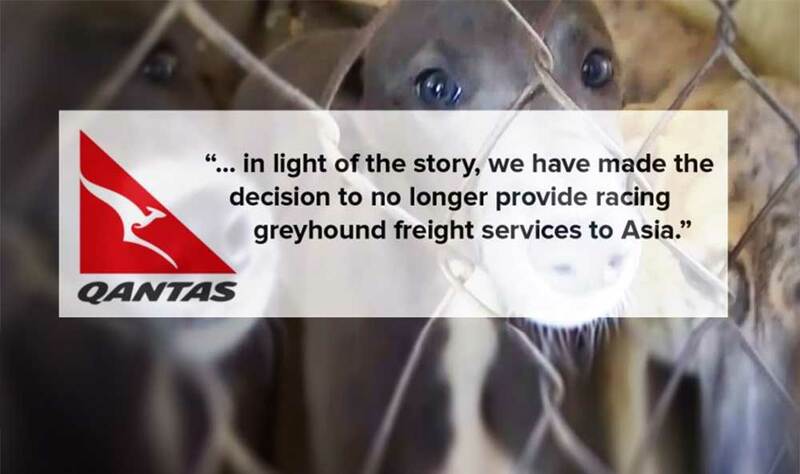 The results of this investigation were aired on a powerful ABC 7.30 report — and within 48 hours,Qantas announced that it will no longer transport greyhounds to Asia — but we still need legislation amended to end export completely. Help us achieve this by writing to your MP. The tide is turning for these animals. With your help, we are turning victims into ambassadors. And with your ongoing support we will end this cruelty once and for all. Join the calls to end greyhound racing Australia-wide! Did you know that your tax dollars may be being used to prop up this gambling industry? 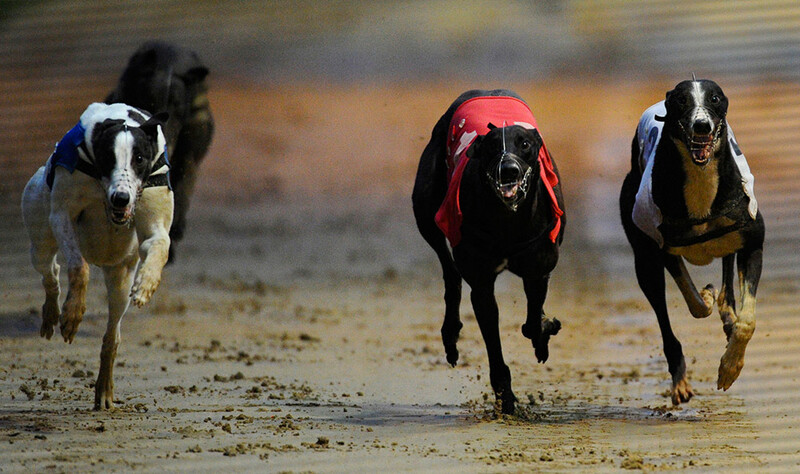 Call on your MP and to end government support for the cruel greyhound racing industry. Help us continue to expose the extreme cruelty of greyhound racing and achieve justice for all of its victims by making a donation. Open your heart and home to a rescued greyhound by adopting or fostering one of these gentle dogs.